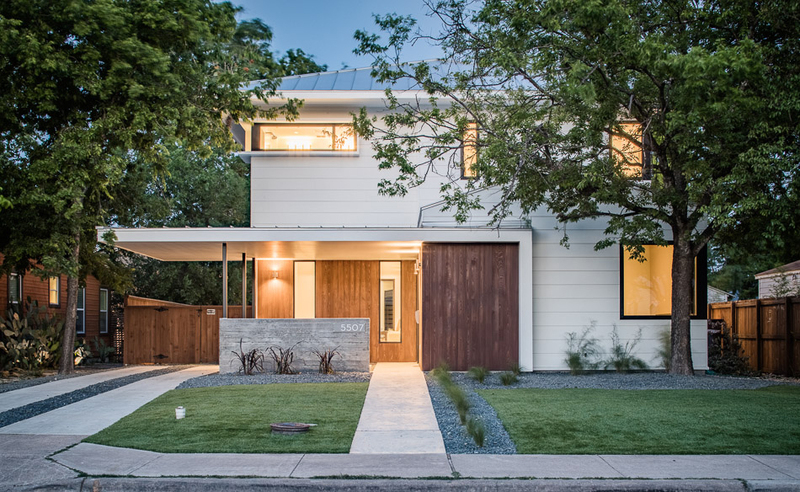 After 10 years in the previous home on this small lot in the North Loop neighborhood of Austin, the owners decided it was time to start fresh with a full tear down. Like many of the homes in the area, the new design incorporated a front-house/back-house layout with two structures. However, unlike most homes, they chose to occupy both units. 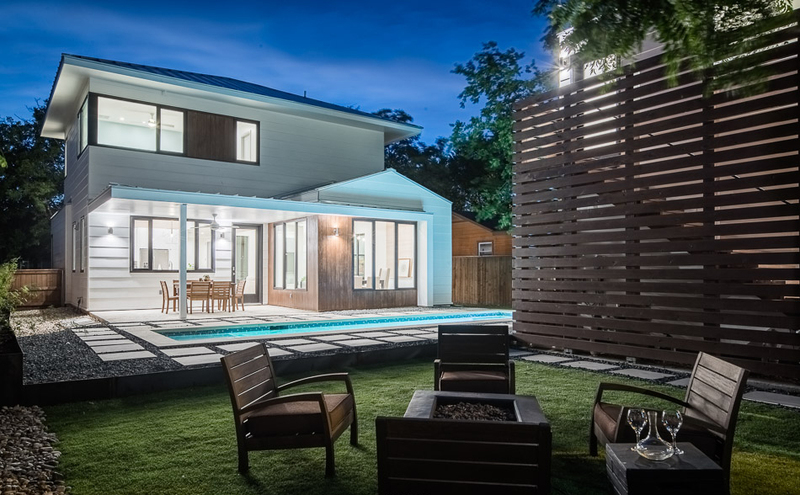 This allowed us to build out the lot as a single residence and place a special emphasis on the outdoor living areas between the two structures, with the inclusion of the pool and seating areas. Also, the inclusion of the separate guest house allowed more sq footage of the main structure to be dedicated to living areas – making the home feel much larger than it actually is. 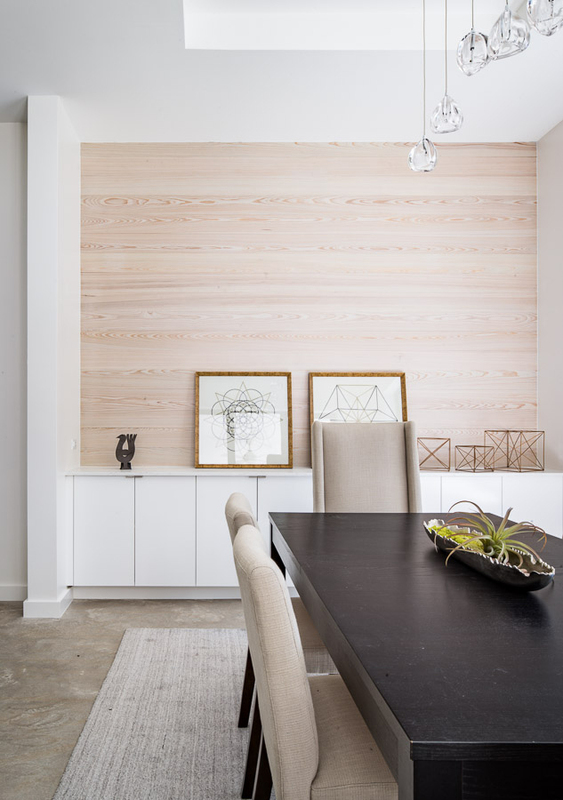 Cream-polished cement floors, a neutral white color palette, and our minimalist trim details also help to make the spaces feel larger, while natural wood elements such as the custom-milled cypress walls in the interior and exterior provide visual warmth. Custom cabinetry and closets make the most of every inch of storage. The home’s exterior features cement-board siding and trim for easy maintenance, as well as a board-formed cement wall to provide privacy and a focal point to the front elevation.